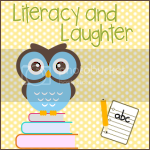 I have posted about my library before this linky. It was when I first started this system. It really has worked for me this year- there will, of course, be some tweaks next year. Ok, our district uses the Scott Foresman Reading Street and the levels are Blue, Yellow, and Green. So this made the most sense to me for organizing, I thought it would make it easier for them to choose and it wouldn't send them looking in bins that they are not ready for yet. 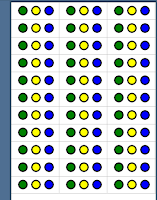 There are baskets for each dot (3 of each, I think). It just kind of ends up when I re-shelve them that the non-fiction and fiction get separated. 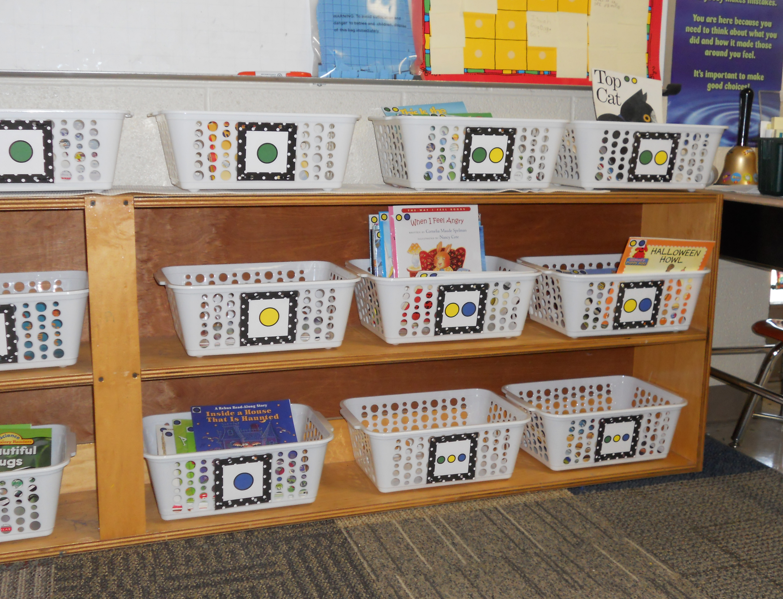 And then some of the baskets have two dots because they are "in between" groups. Everyday four of my firsties get to "shop". (There is a schedule). They choose 5 books. Four of them are "just right" and then one can be "just for fun". This means that 4 of your books have to have your color dot from your group and then you can have one that is not your level- maybe they want it because they heard me read it, or they like the pictures or the author- but they like that just for fun book! 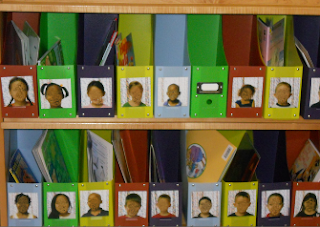 After they make their choices, they put them in their "book boxes". They have their hands on LOTS of books all week long, but these five books are their "go to books". For our Daily 5, we have our Read to Self very first thing in the morning when they come in. They put away their things, turn in any homework, go to their box, get a book, and get to reading. If it is your day to "shop" then you put these 5 books in the return basket and shop for 5 more. I like this because the baskets on the shelves stay nice and neat. This is over behind my desk. Mostly these are the books that I use to teach- and are on their comprehension level but not their reading level. I rotate out holiday books- very easy to put my hands on the one I want. I made these labels for the baskets. They are attached with tiny zip ties. And then there are the stickers...I cut them as I need them. 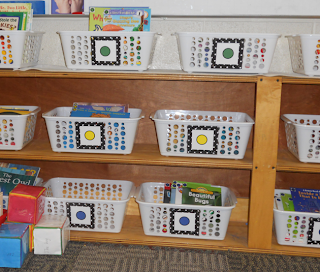 Like I said at first, this is really working for our class- I have put in my request to get new bookshelves because the shelves on mine are very narrow. I love being able to see everyone's libraries in this linky...so many ideas! Be sure to link up to Mrs. Rider's party! Those circles are very appealing to me for some reason. I love it!! I love your library system, I use Houghton Mifflin reading series, but I can do the same type of library with dots. I love dots of different colors, the day I discovered florescent (not sure on the spelling) I was one happy camper. I can't help myself. Thank you so much for linking up. 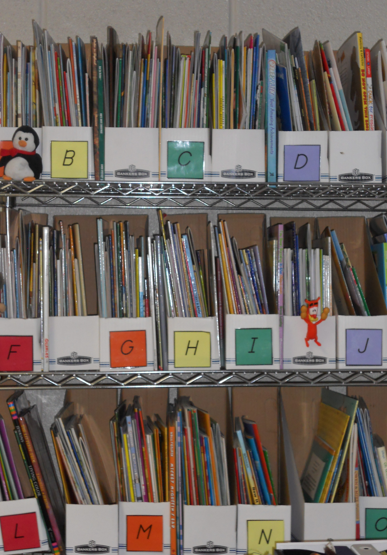 I loved checking out your library... and your blog!! Love your students' book boxes. Bright and colorful! I like your idea of a shopping day at your library. I love the idea of 4 kids shopping a day. Right now we go to the library and shop one day a week. It can get a little crazy. I can't wait for our bloggy meet up.